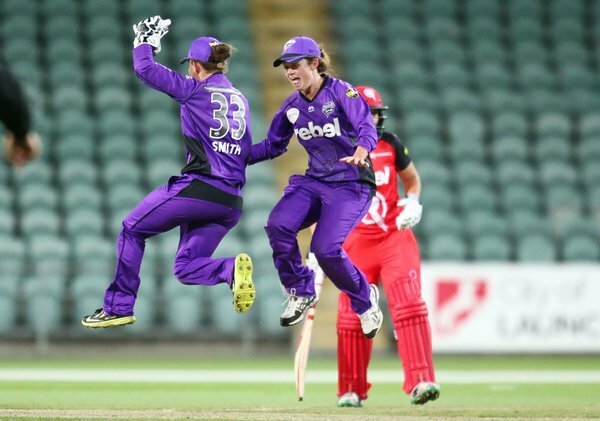 Stoked for the win in @HurricanesWBBL 1st #WBBL01 match last night! Twice the action today, come on purple army, we'll see you at Aurora! 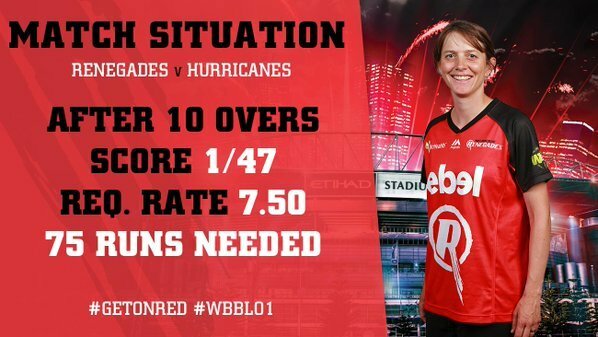 The final summary of our first game in #WBBL01 . 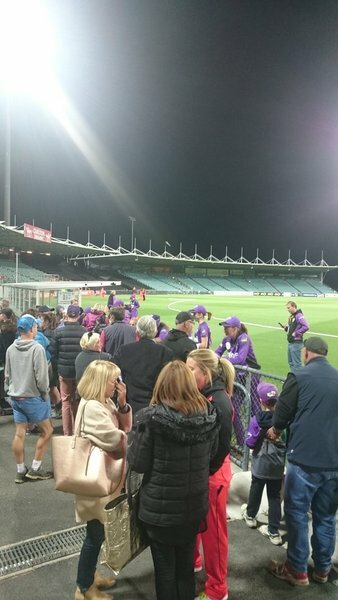 Game over - our chase falls short as we're bowled out for 86, chasing 122. 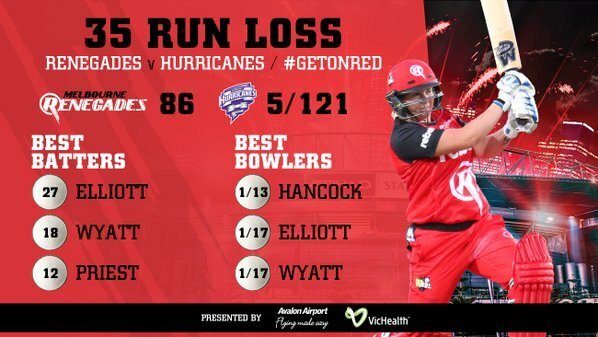 A lot to do with four overs to go and only three wickets left. 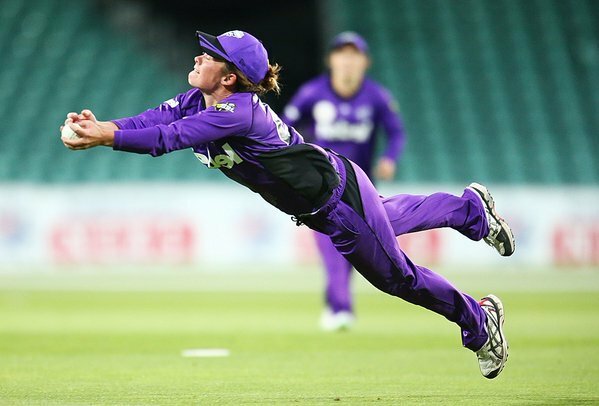 Great @GettySport snap of a screamer by @crinny17 ! 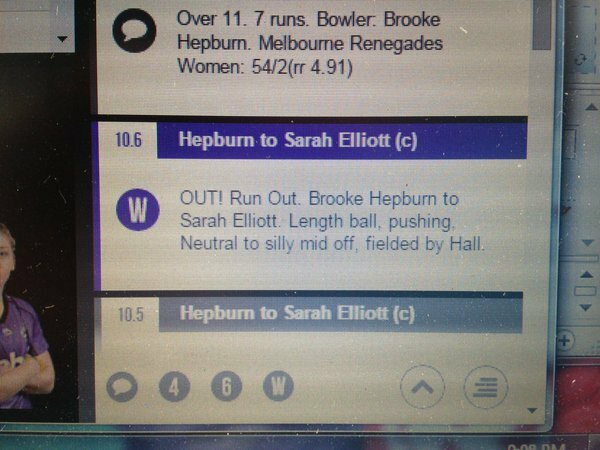 Wicket, just as the scoreboard was ticking over. The powerplay comes to an end, with us 1/22 from the six overs.